Video camera crew shoot Canon 5D mark 11 Sussex. 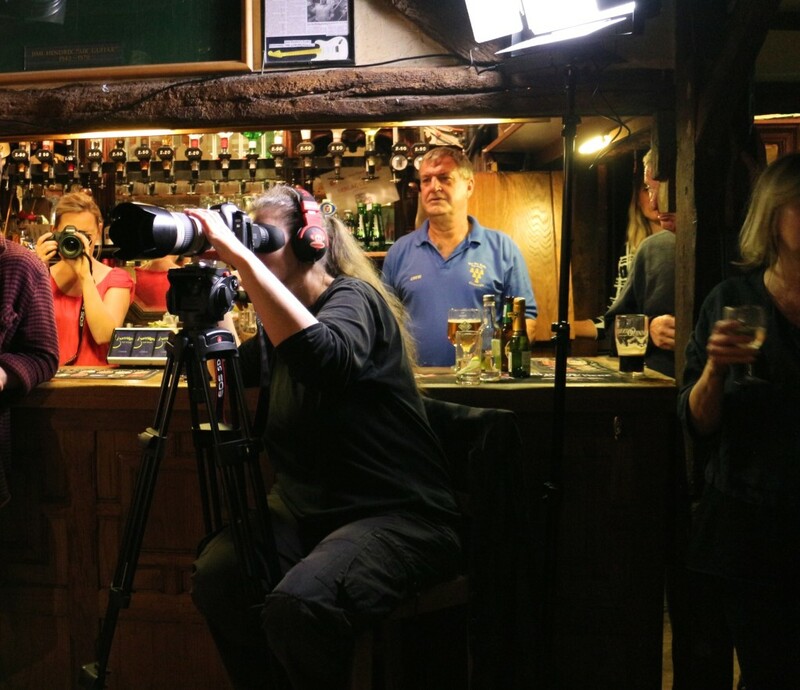 I was asked to take part in a Video Camera crew shoot in Sussex at the Six Bells pub in Chiddingly Sussex by Rupert Cobb of Gun Hill Studios. Details of the video camera crew shoot. The shoot consisted of 4 x Canon 5D cameras shooting from various angles. 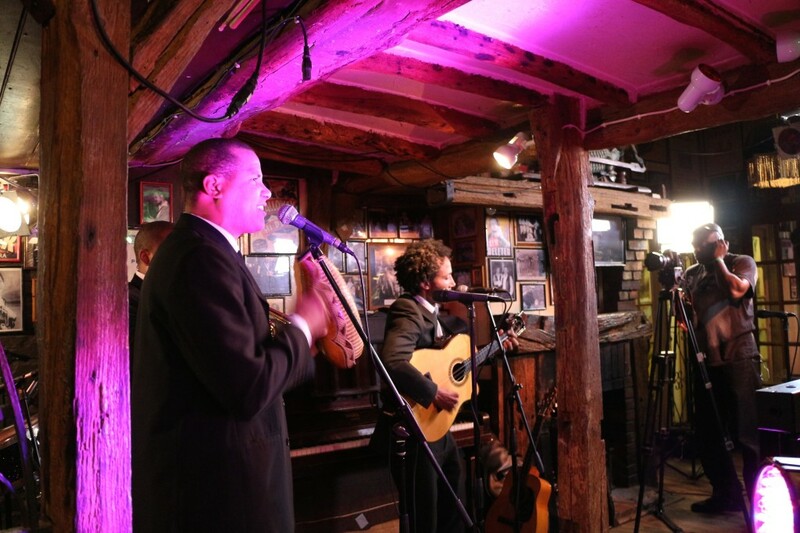 Space was cramped and it was filmed during a live gig. The shoot started at 9pm and went onto 11.30 pm. I personally shot around 30 gig of video with 2 battery changes and 3 Memory card swaps. Once the memory cards were full they were downloaded to an Apple Laptop, then wiped to be used again. All sound was recorded separately through a mixing desk into an Apple laptop. After about 30 minutes of video shooting with the canon 5D did get quite hot this is due to the the camera not being a dedicated video camera. Video camera crew. Andrea shooting Canon 5D with 70-200mm lens. As well as taking the Canon 5D. I packed the Canon M camera which has the same sensor as the canon 650D and shoots 1080P video. 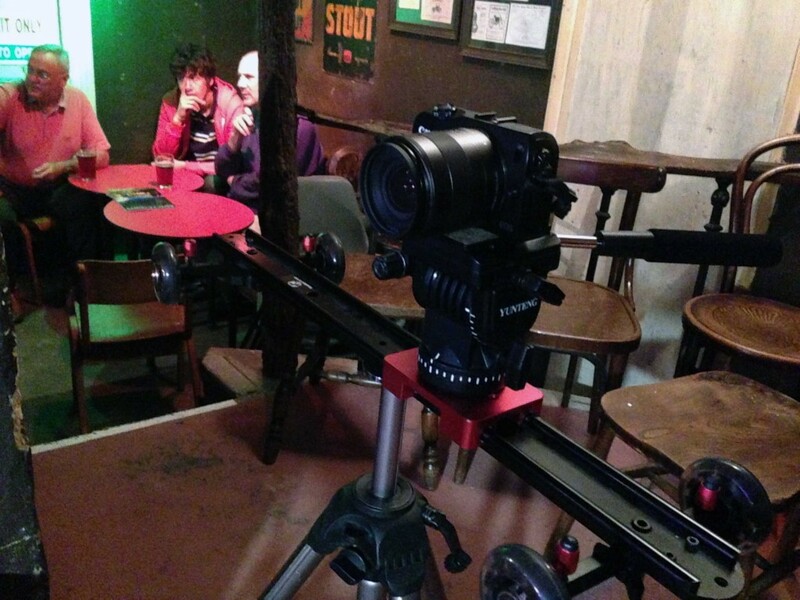 Once placed on a slider behind the band this provided some excellent moving shots. Video Cameras. As well as shooting on the Canon 5 D we also use the Canon XF100 which can record at 50 Mega Bits per second at 4:2:2 colour space for broadcast video production.